Fun Casino is putting ‘fun” back into the online casino experience by offering rewards for simply signing up. 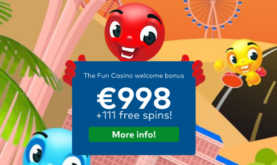 Their remarkably generous Welcome Package is filled with Free ‘Fun’ Spins, more Free ‘Fun’ Spins and two Deposit Bonuses. 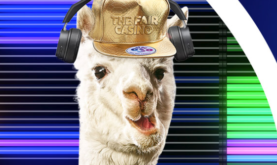 The full Welcome Bonus package includes 11 Free Spins on Starburst, Joker Pro, Wild Wild West or Finn & the Swirly Spin for just registering with the casino. The First Deposit earns the player 50% bonus on amounts up to £499 as well as 100 Free Spins on any of the games mentioned above. That is not all; the players earn another 50% bonus on their Second Deposit amount of up to £499 too. 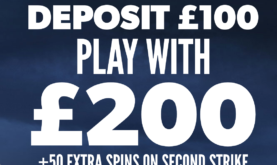 Bonuses are triggered with minimum deposit of £10 (up to a maximum of £499). The Maximum bet allowed for a single round of play is £5. This bonus has a wagering requirement of 50x bonus. 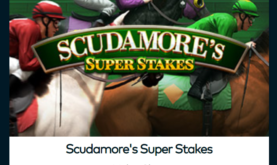 The complimentary spins have a wagering requirement of 50x winnings. According to the bonus structures, bonus funds are stacked beneath the deposited funds and only the bonus funds counts towards the wagering requirement. The bonus is cashable and there is no maximum win on either the deposit bonus or the complimentary spins. Players must, however, remember that all bonuses and associated winnings are valid for a maximum of 30 days and if the wagering requirements are not fulfilled by then, they expire. Fun Casino accepts numerous forms of banking options but deposits via Neteller or Skrill are not eligible for the promotional offer. Fun Casino has much in stock for their existing customers too. Keeping these players in mind, they offer mind-blowing promotions and giveaways on a weekly basis. Additionally, their VIP players can expect to receive even more perks. VIP promotions are kept top secrets until they go live – so keeping an eye on those e-mails can lead to a big payout.